Well, guess who’s here to set the record straight! This is the first time I’m writing a letter to the blog that is partially “dedicated” to me. ‘Bout time! The reason I am doing that is that I normally am a very shy person, walking away from any spotlight. But reading letters of religious people here and reading in your last post that I was not a typical Christian, I decided to make my own position clear. My background, both in terms of my family and in terms of my education is Catholic. And my family is pretty religious. I can not identify myself as a Catholic for many reasons, the most important being that the Catholic Church requires strict adherence to many things that I do not believe in or I directly feel are wrong. But I consider myself a Christian with Catholic tendencies. I do not think God is a He or a She. I do not believe in the Holy Trinity. I do not care if the Virgin Mary was really a virgin or not. It does not take away the goodness of Jesus’s actions and words. I believe Jesus may have been the son of God, but it’s not a requisite to believe he was inherently good. I respect all faiths and beliefs that are based on love and/or doing good–and I do not care what other people believe in. But I do not condone evil (in the sense of doing wrong), worshiping evil (in the sense of worshiping something that requires the spread of bad things, feelings, or actions). I do not condone lack of civility, education, and good manners. I deplore selfishness above all and selfish people. I believe that all through the history of humanity, people have created gods to explain most of the things that happened around them (that they could not understand). I believe that all through history, the powerful have used religion to abuse the frail, the weak, the poor… basically the other 99% of us. I do believe that most religions, faiths, and beliefs want to complicate things unnecessarily with rules & guidelines in order to create a “cast” of people that can interpret what God wants from us. I believe that most of religions and faiths do create “institutions” that are full of people that say they are mediators between the people and God and that they can understand God’s will and/or word for us. I do believe in a simpler God: He does not care about rules/guidelines or complications (liturgy) for worshiping him. I do believe that God just wants us to: to do good, be good, spread goodness. For me, all the rules I need are the 10 commandments plus one sentence from Leviticus: love your neighbor as you love yourself. The liturgy and complication of things create dangerous cults, such as Opus Dei, Legionarios de Cristo and others that appoint themselves “religious” vigilantes. I do deplore such practices within Christianity and believe they are just one level of danger below Islamists, Wahabists, and Salafists. The thing that pits religions against each other is fear. Fear of the unknown. Fear of failure. And then we hate each other and kill each other just because we are different. In reality 99% of humanity wants to have a normal life, have a house and a family and to take care of their children. So basically, “secular humanist theist whose beliefs are vaguely structured on Christian concepts with a suspicious bias toward their Jewish sources” isn’t that far off the mark, eh? But if you identify as a “Christian with Catholic tendencies” I’m not gonna argue! Abortion is one of the most hotly debated and divisive topics in American politics. It’s one of the most important issues on the agenda for aspiring politicians, and the discussion around it comes up over and over again during pre-election campaigns. In Israel, on the other hand, no one so much as mentions it when elections roll around. Abortion is practically absent from political debates in this country–as much as anything is “absent from debate” in Israel, that is. 😉 But really, for a country full of Jews–who are constantly arguing about everything–this has got to make you ask: what’s going on here?! Well, first, let’s look at what’s going on in the USA. On one end of the spectrum we have the ultra-conservatives, influenced mostly by Christian thought, who believe that a baby’s status as a person begins at conception, and therefore abortion at any stage of pregnancy is nothing short of murder and should be illegal just like murder is. On the other end of the spectrum, we have the ultra-liberals, who assert that no one has any right to tell a woman what to do with her body, regardless of the status of the baby at any stage during pregnancy, and therefore any woman should be free to abort her pregnancy at any time. These are the voices that shout the loudest, but the truth is that the opinions of the majority of Americans fall somewhere in between those two positions. While many liberals find the ultra-conservative position horrible and wrong and possibly misogynist, I think it’s important to understand that if you truly believe that the status of “personhood” applies from the moment of conception, there is really no way around this as a serious moral problem. It angers me when I see people brush that opinion off as ignorance or bigotry. The question of exactly at which point a person becomes a person is not a matter of science; it is a matter of philosophy. If you spend more than half a millisecond thinking about it, it is not a simple question at all. According to Christian thought, a person becomes a person at the moment of conception, and at that point, the fertilized egg takes on exactly the same status as the mother. It is not ignorance or bigotry to think that no one should be allowed to kill what you believe is a person, even if that pregnancy and birth may cause suffering. Fortunately for the world’s one and only Jewish country… the Jewish position on this matter is a lot more, shall we say, nuanced. In the Talmud, there are several sources that state that in the first 40 days after conception, the embryo (or zygote, or blastocyst, if you want to get technical) is not considered a human by halakha. Maimonides says “All these forty dates, it is not a fetus, it is considered like water.” (This comes out to sometime during the 8th week of pregnancy.) So while Judaism would not advocate aborting a pregnancy in general, there is a lot more room to permit it in the first 40 days. After this, the fetus has a sort of in-between status in Jewish law, one which I would call “potential personhood.” This applies practically in a number of ways. Firstly: Judaism, in contrast to Christianity, does not consider abortion to be equal to murder. It is a sin, but not as grave as murder. From these two rulings we understand that the status of a fetus as a person is somewhat fuzzy. Accordingly, the question of whether abortion is permitted has a rather fuzzy answer, too. As a general rule, of course, as we saw in the post about pregnancy and contraception, Judaism encourages us to bring life into the world, and therefore, by default, abortion is forbidden. However, under certain circumstances, exceptions can be made. There is a well-known organization in Israel that deals with fertility and halakha, called Puah Institute. I have never needed to consult them for any reason–thank God–but the general sense I get from them is that their rabbis tend to be very lenient when it comes to aborting a pregnancy for “medical reasons” (a.k.a., the fetus suffering from some medical condition or other that would affect its quality of life and that of its parents and family). There is a general perception that religious Jews will not abort in the case of Down Syndrome, for example, and I personally would not (and not only for halakhic reasons). But I have heard of cases of the rabbis at Puah permitting a woman to abort in such a case where it was determined that having a child with this disorder would be catastrophic for the family. Unfortunately, Israel is not particularly advanced when it comes to accessibility and equality for people with disabilities. Combine this with the fact that the Israeli medical system recommends more prenatal testing than any other country in the world, and you will understand why we also have the highest “medical abortion” rates in the world. I take moral issue with this, personally, but the point is that there is room in halakha to make allowances, even beyond what I personally am morally comfortable with. So whether an abortion is permitted by halakha depends what the reason is, and it also depends on the stage of pregnancy. The later in the pregnancy, the harder it is to permit. Starting at around 24 weeks, a fetus could theoretically survive outside the womb. So if you think killing a 24-week preemie outside the womb is murder, it’s pretty hard to argue that killing a 24-week fetus inside the womb isn’t murder. Still, Judaism does not consider it the same as murder until the baby has been born. The guiding principle in halakha is “the life of the mother comes before that of the fetus,” meaning that if, even during childbirth, the mother’s life is threatened and could be saved by killing the fetus, halakha says that the fetus must be killed to save the mother’s life. The fact that Judaism is more nuanced than Christianity on the topic of abortion is the reason the political conversation around it in Israel is so different from that in the USA. Abortions are legal until the third trimester and are funded by our national healthcare. There are theoretical criteria for an abortion to be approved for funding, such as the age of the mother, medical issues, or financial issues, and a woman must appear before a committee for approval. But in practice the request is almost never denied. I consider myself to be “pro-choice,” in that I believe women should be allowed to have abortions even in some cases where I think it is morally wrong. But while I think women absolutely have the right to do what they want with their bodies, it’s more complicated than that when there is another life, or potential life, involved. So I find the Israeli arrangement to be a good middle ground: abortions are legal and accessible, but not so accessible that women can take the decision lightly. 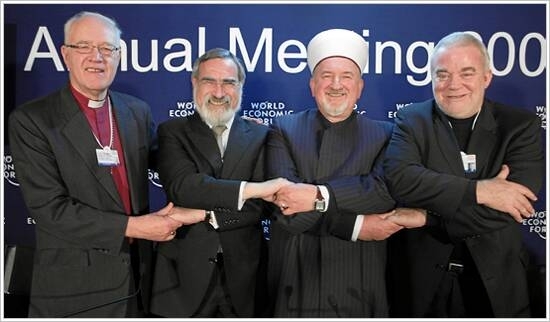 It seems that the majority of Israelis are comfortable with this arrangement as well. So you may have noted that I mentioned that we had a “couple” of Christmas letters coming, and then only posted one. That’s because good things come to those who wait! 🙂 Yes, it’s a bit late, but I did not want to miss the opportunity to post this letter from my friend Alana. I don’t remember exactly how I met Alana; probably through an online Muslim-Jewish dialogue group… which is funny, because she’s Christian! 😉 But there tends to be a lot of overlap between Muslim-Jewish dialogue and Palestinian-Israeli dialogue, so Palestinian Christians like her tend to get lumped in with the Muslims, I guess. We both got such a kick out of discovering that I live a mere five-minute drive from Beit Sahour, the Palestinian village where her father, paternal grandfather, and maternal grandparents were born! 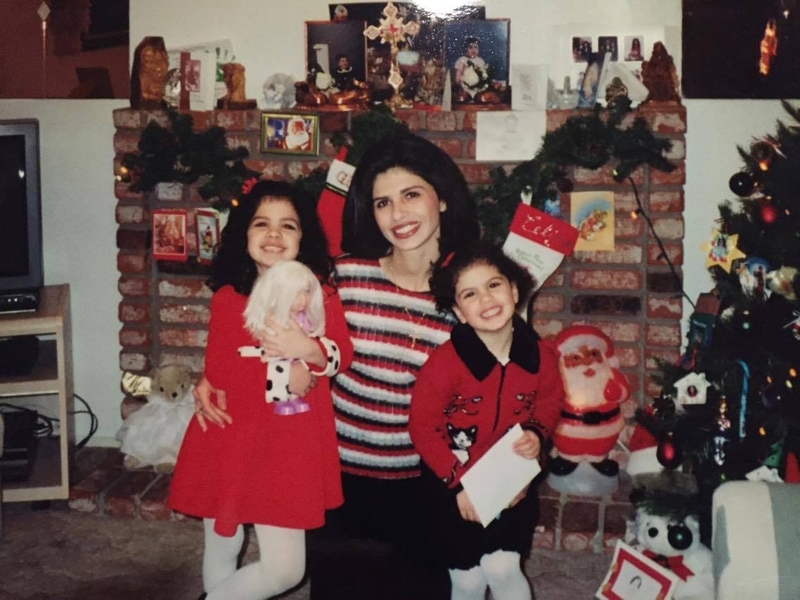 But before I give her the floor, I just want to say that I am so grateful to her and her family for letting me share this little slice of their lives on my blog. Especially in light of recent events, I think it is really important for members of both our peoples to listen to each other’s stories. Alana doesn’t get into her family’s story here from a political perspective, but it was very important to me to discuss it with her and hear her parents’ feelings about it. Hi! My name is Alana and I’m a twenty-year-old university student. I would like to tell you about my religious identity and how it relates to my national identity and contradicts my local identity. I would say that I was quite religious most of my life. I think I lost a bit of my spirituality along the way as I became older, but as I explore my identity, I realize I want to have a better relationship with God. “Baba, I wish I was born in Beit Sahour! Or Bethlehem!” A little naïve girl version of myself lamented this while I was reflecting on relatives in town who happened to be born there. “Why?” my dad asked, implying that American citizenship by birth is way more valuable. Even my dad who swears by his spirituality disagrees with the notion of his daughter taking her first breaths in the Holy Land. It’s ideal, but my father left for a reason. He wanted a change. Where did my father, paternal grandmother, and uncles uproot to? Well, I’ll give you a hint, it’s referred to as “Sin City” where what happens there, inevitably stays there. Yes, I was born and raised in Las Vegas, Nevada, U.S.A. Almost my entire family is from a small village called Beit Sahour in the West Bank. It’s half an hour away from Bethlehem, the town that my paternal grandmother’s family is from. It also happens to be the famed Biblical village where once upon a time, Jesus Christ was born. No big deal. I just happen to find roots in the same area where Jesus Christ was born. The reason that this might be a tad interesting is that my family is also Orthodox Christian. We are Christians who come from the Holy Land, and for at least over a hundred years or so, the place where Jesus Christ came into existence. I think this is a huge part of why I, as a devout child, regretted not having the chance to be born near where my Savior was born. It seemed like an honor at the time, and celebrating His birth is definitely one of my favorite traditions every year. My family is Orthodox Christian. 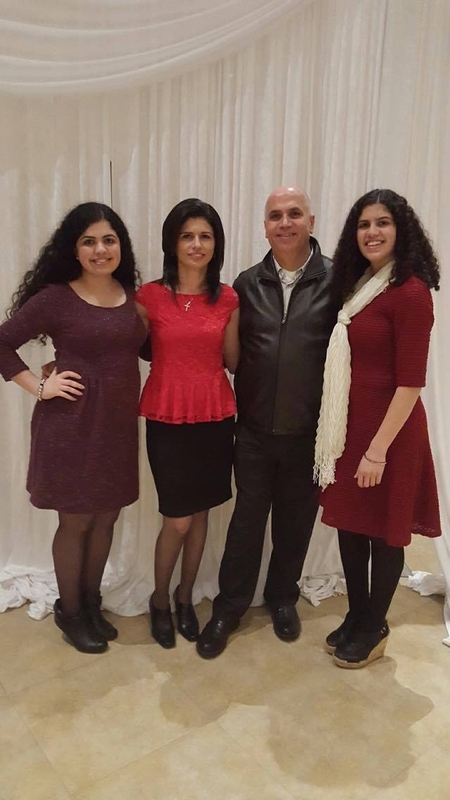 My family in the U.S. are members of the Antiochian Orthodox Christian Archdiocese of North America. It’s the jurisdiction of the Greek Orthodox Church of Antioch in the United States. Antioch is a city in modern Turkey. It was a part of what was formerly known as Syria (different from the modern nation-state of Syria). So how does one celebrate Christmas in Sin City? Well, for my family it’s not too different from the Christmas you’ve heard. Ok, I guess the praying in Arabic at church is kind of a huge difference. Oh and I cannot forget the Christmas songs in Arabic! My mother has an entire album of songs that she plays in the car on the way to church on Sundays in December or in the house. They were always soothing to listen to, and to be honest, I like them better than Christmas songs in English sometimes. One thing I want to point out before I explain how my family celebrates Christmas is that Orthodox Christians celebrate Christmas on January 7th. We have a different calendar than Catholics/Protestants. Here, in the United States though, we, along with those at our church and other Orthodox Christians, celebrate Christmas on December 25th. I think this was mostly done for assimilation purposes, but I’m not sure. (My family back home celebrate it on January 7th.) With that said, I do like that we in the west at least celebrate Christmas at the same time as western Christians. It’s also important to note that Jesus Christ is said to have been born in the spring, at an uncertain date of course. During the rule of the Roman Empire, Christians were only allowed to celebrate the birth of Christ if it aligned with the pagan holiday of the Winter Solstice. Thus, this the reason why Christians now celebrate Christmas in the winter. The reason for the season technically also has a pagan layer with it, along with traditions like putting up a tree. Now for an explanation of how my family celebrates the holiday! 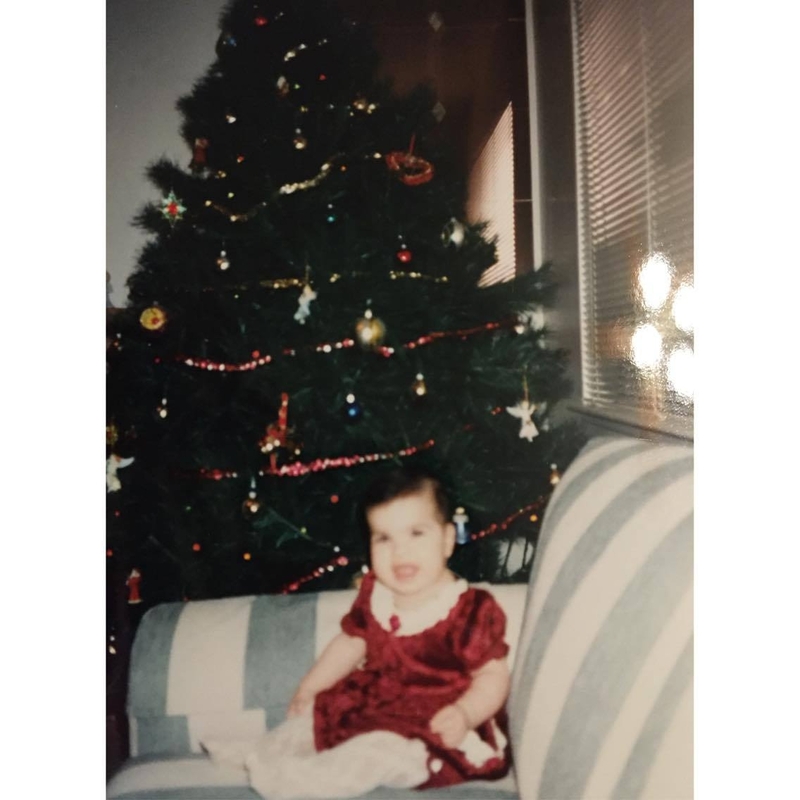 My childhood was much more lively around Christmas time, for a plethora of reasons, both internal and external. One of the most profound ways that my family and I began the month of December was participating and sometimes hosting a Christmas party with our close friends. Every year, a different family (there are four of us) would take turns hosting our annual party. 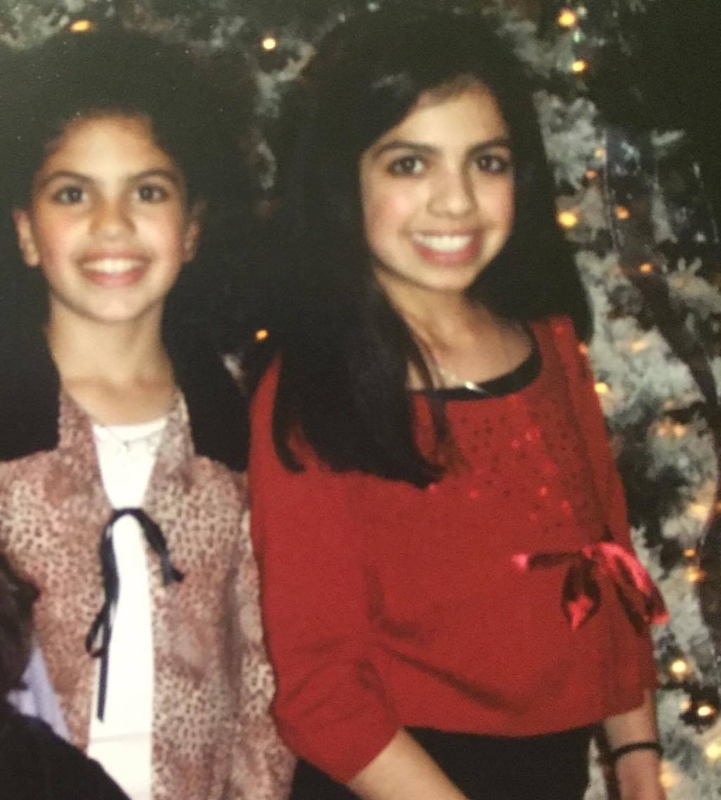 Alana (right) and her sister at the party, age 12 or so. The adults played games and drank, while the children played and ate cookies and the like. The patriarch of the family that hosted the party that specific year would dress up as Santa Claus and distribute gifts to the children. These gifts were purchased by their respective parents prior to the occasion. It was a tradition that we always upheld. Our annual Christmas parties were always such an enjoyable time and I miss them dearly. The memories will last a lifetime. Leading up to the Christmas Day, the Sunday before Christmas at my church is quite special, and not just theologically. When I was younger, the children, teens, and young adults would perform a play reenacting the birth of Jesus Christ annually. It became a tradition for our parish. The youth would participate and the adults would watch. Taking place in our church, the person playing Mary would be sitting on the steps in front of the altar, carrying a baby doll to represent baby Jesus. Whoever plays Joseph sits by her while the “three wise men” bring their gifts of frankincense, gold, and myrrh. Shepherds that were called upon by an angel to visit Jesus filter in after the wise men. Lastly, angels, mostly young children, descend onto the scene. They walk in between the pews singing various hymns. To finish off the play, they sit down in front of Mary and Joseph. The play ends with Mary, Joseph, the wise men, the shepherds, and angels gazing at their Savior. 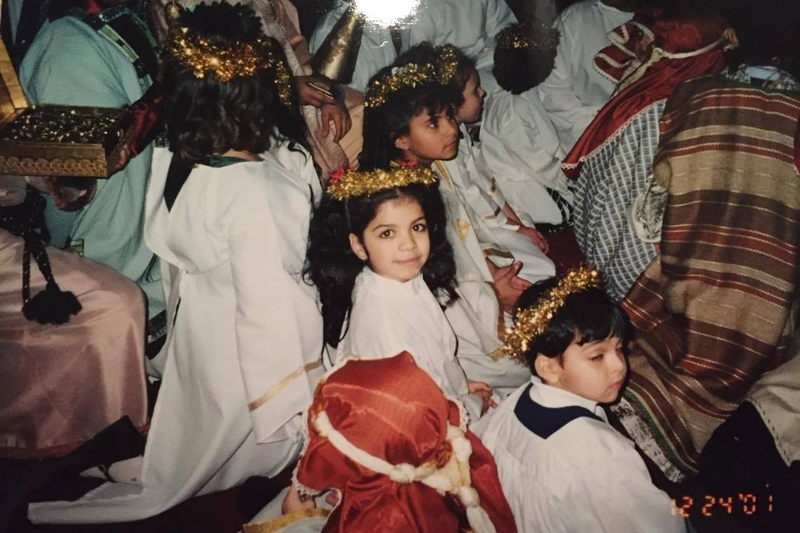 As a child, I was always cast as an angel. I longed for the day I would have a better role. That day would not come for at least several years though, especially since the tradition of the play was broken for a while. Around the time I joined my church’s choir, when I was only ten years old, my priest decided we need a change when it came to our yearly play. He was getting tired of the old routine and wanted to liven up the Sunday prior to the day we celebrate Jesus Christ’s birth. So, he decided that the youth of the church should sing Christmas songs for the parish. Our choir conductor agreed to gathering some of the children and teenaged members of the church to participate. We always managed to convince enough people to sing their hearts out for the special performance after our pre-Christmas service. 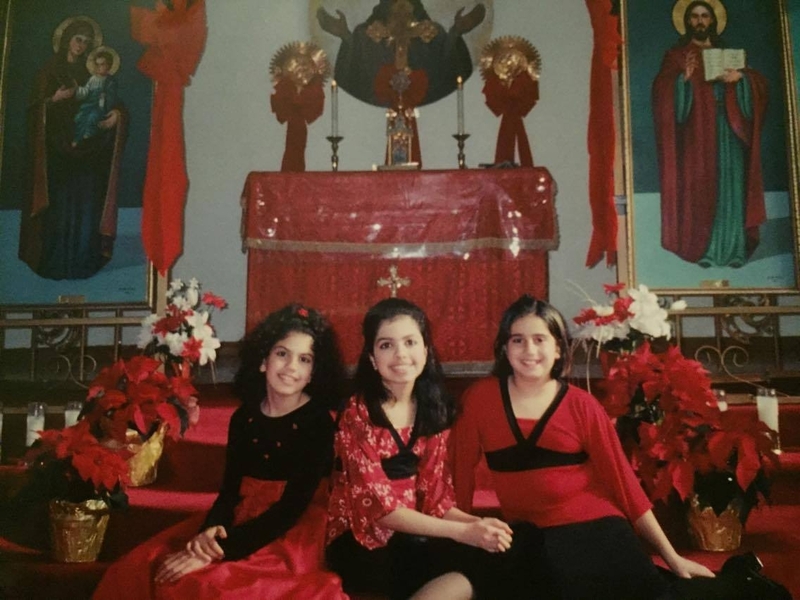 My sister, godsister, and I always took it quite seriously though, since we all love to sing and we happened to be members of the parish choir in the first place. So, we always rocked the show, especially since the three of us started a tradition of choreographing a song-dance routine that we would perform after all of the general songs were sung. Everyone looked forward to us performing, it was the highlight of my day. Another tradition that I found special was the integration of Arabic Christmas songs into the program, even though it was just one. At the start of the program, the children and teenagers would walk into the church ringing bells in their hands. While they did this, they would chant “Laylit eid” or the Arabic version of Jingle Bells! They definitely did this after singing it in English, or course. I love that song so much and to this day, it is still one of my favorite Christmas songs. After our Christmas choir program, a member of the parish, usually male would dress up as Santa Claus, knock on the church doors, and proclaim the phrase “Ho, ho, ho.” The doors would then be opened for this Santa Clause who would carry a red bag filled with small and usually identical gifts for the children. It was a nice way to end the program every year. This tradition went on and thrived until one year when my priest decided to bring the old play back. We were all surprised, but we went with the flow. That year was 2013 and I was eighteen years old. Finally, I was at an age where I could play a part besides an “angel.” Guess what? I was not only promoted, but I was given the most important role of all. 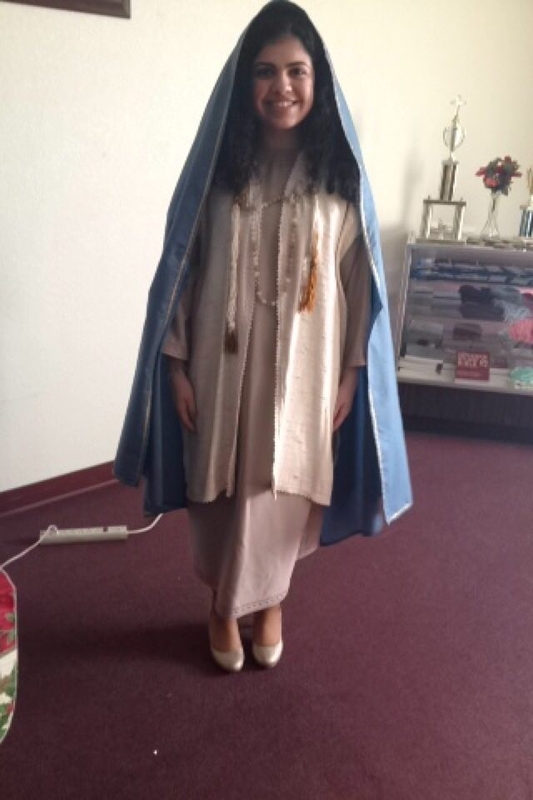 I played the Virgin Mary. Oh my, I was so ecstatic. Finally, what a huge upgrade it was for me to play such an important part, and I definitely made sure to do the beloved Virgin Mary justice. That had to be the most important performance of the play that I ever participated in, and it went very well indeed. Alana as the Virgin Mary! I have so many memories from those Sundays, including up until this past year. But the most important event prior to Christmas day is definitely Christmas Eve mass. This is when we really dress up and take pictures for Christmas. Everyone attends this service, especially those “Easter and Christmas” Christians (those who only come to church for Easter and Christmas services). Anyway, it’s a big deal, but alas, we do not get into the truly fun part until Christmas morning. Christmas morning. For those on the outside who only see what it’s like through the lens of the media, i.e. TV’s and movies, it may seem a bit overdone. They practically memorize the stereotypical setting and custom and sigh thinking, “Why is this important?” I understand, but for me, it ceased to seeming like a repetitive thing and I hope the Christmas morning spark is something I will always experience. 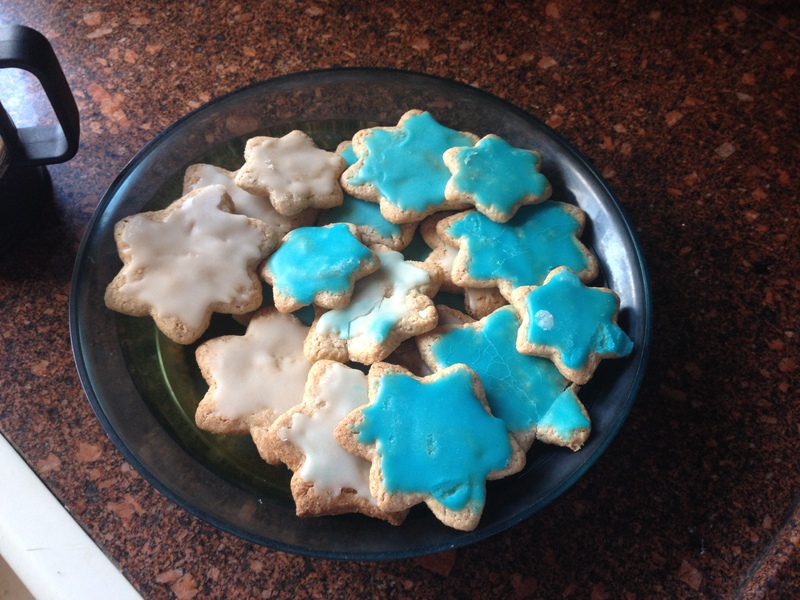 As a child, my mom, sister, and I would bake cookies that we would put out for Santa. We would also put out a glass of milk for that jolly fellow. After we would come home from church, my sister and I would soon fall asleep, giddy for the next morning. Soon enough, the sun came up. My sister and I would pop up from our beds and scurry to the living room. 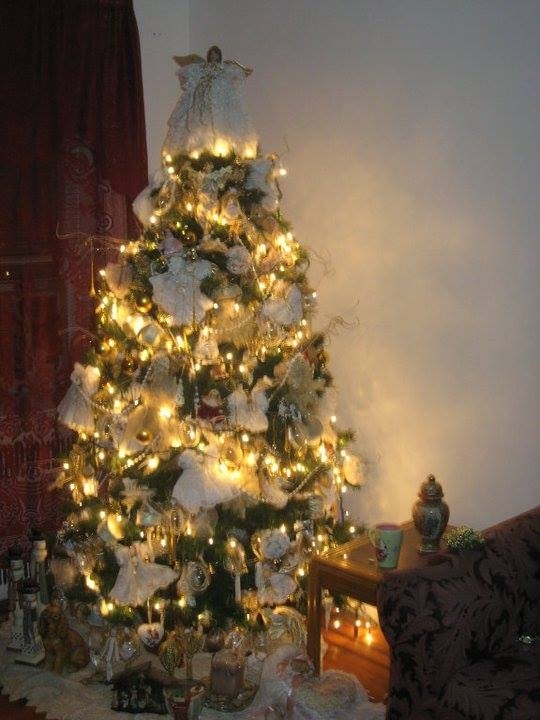 There they were, those magnificent gifts we were waiting for, under our beautiful twinkling Christmas tree. Believe me, that wasn’t it, once my dad started working the graveyard shift at his job, we had to wait, until around noon time. The wait was the best part though, but of course we wanted to finally see what we received from Santa Claus and our parents. Opening presents is a ritual. First, the stockings. My mother(Santa) would fill our stockings with chocolates, candy, tiny knickknacks, you name it! I personally loved the tiny gifts inside. Growing up, my sister and I were granted some pretty spectacular gifts. 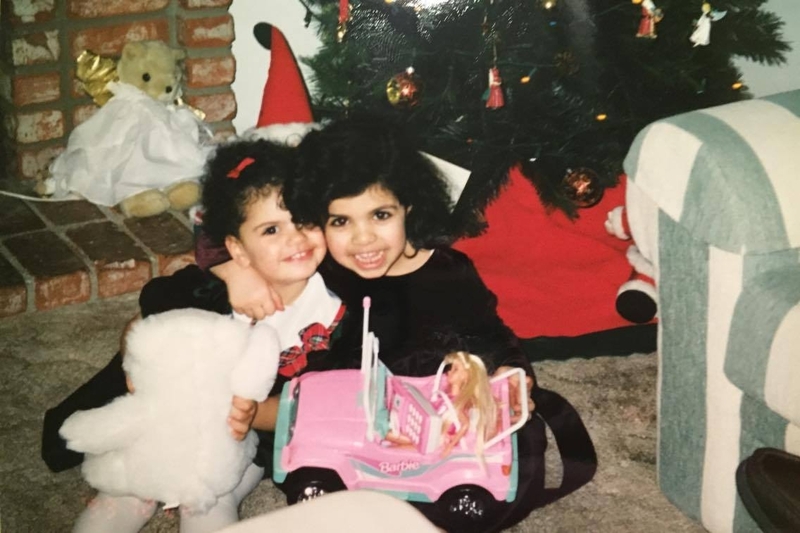 Alana and her sister with their gifts. So cute!!! Honestly, this is great and all, but that’s not what this is about. 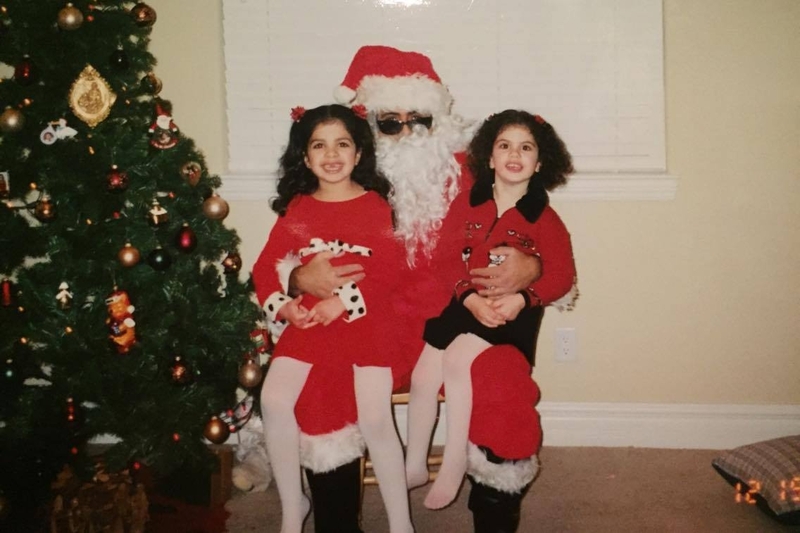 The fact that my parents spent their time and money to make our sisters happy, even in a material sense, showed us how much they truly loved us. Growing up in the Holy Land and the Middle East respectively, my parents did not have much. They both grew up mostly dirt poor. My mother always explained to me that she had few toys, and I cannot tell you how many precious Barbie dolls I had in my vast toy collection. The toys, clothes, shoes, electronics, etc. My parents bought it all and they sacrificed so much for indescribable Christmas mornings, and overall, our livelihood. They gave us so much; I do not think I will ever be able to truly repay them back. It would be a pity to take all of it for granted, but you do not ponder the extent of your parent’s love, i.e. the hard work it takes when you are a mere child. You just receive it with no questions asked. 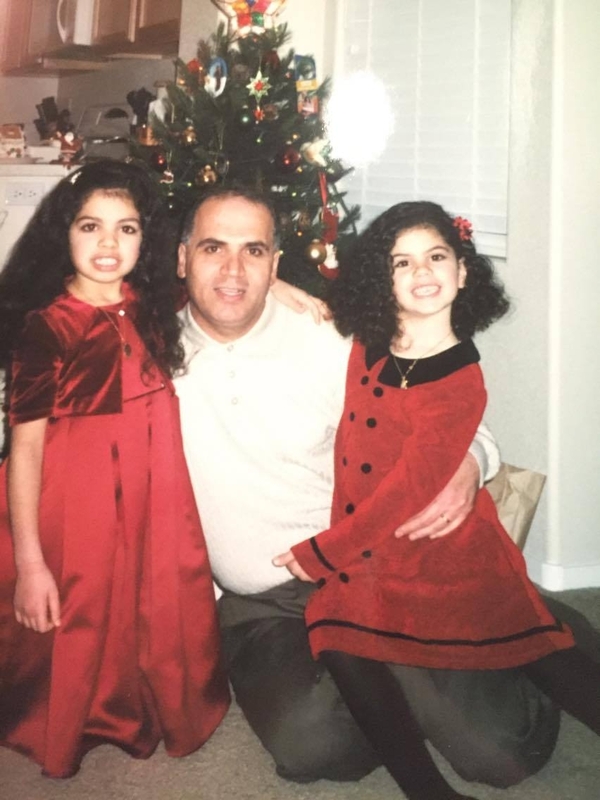 Writing this blog post makes me realize how lucky I am, that I have not only been able to experience a microcosm of Christmases in Bethlehem, but I have experienced Christmases that my parents could have only dreamt of indulging in as children themselves. They did not have what my sister and I have. They had almost nothing, but for some reason, seeing the smiles on our faces when we rip open that wrapping paper is all that they need to be happy. I may have begun to gift give to my parents and sister in the past few years as a young adult myself, but my parents always shrug off the gifts. The only gifts they have, the only presents they need, are the beaming faces that my sister and I produce on that lovely holiday of ours. Since they love us so much, that is the only Christmas wish they have ever had for the past twenty years and I am beyond thankful for that. Celebrating Jesus Christ’s birthday in a town of “sin” may seem strange or impossible, but as my story outlines, it’s not only possible, it’s extraordinary. I may not be able to visit the Church of the Nativity every year around Christmas time, or visit the huge Christmas tree that is put up in Manger Square. I may not even be able to see most of my family, but celebrating Christmas in my hometown of Las Vegas has always proven to be wonderful, and I would not have it any other way in my eyes. I’ve only celebrated Christmas or “Eid milad” in Las Vegas, Nevada, and to be blunt, I think I would prefer to take part in Christmas festivities in the city of sin for the rest of my life. It’s familiar and it’s home. It’s unique and creative and that’s what I love about it. I would not change that for the world. Would you like to share with us about your family’s holiday traditions? Or about your family’s culture or religion in general? Write us a guest letter of your own! One of the major philosophical differences I have noted between Christianity and Judaism is our concept of the nature of man, what he is capable of, and what he needs in order to elevate himself above the darker aspects of his nature. When I first encountered this difference I was skeptical. 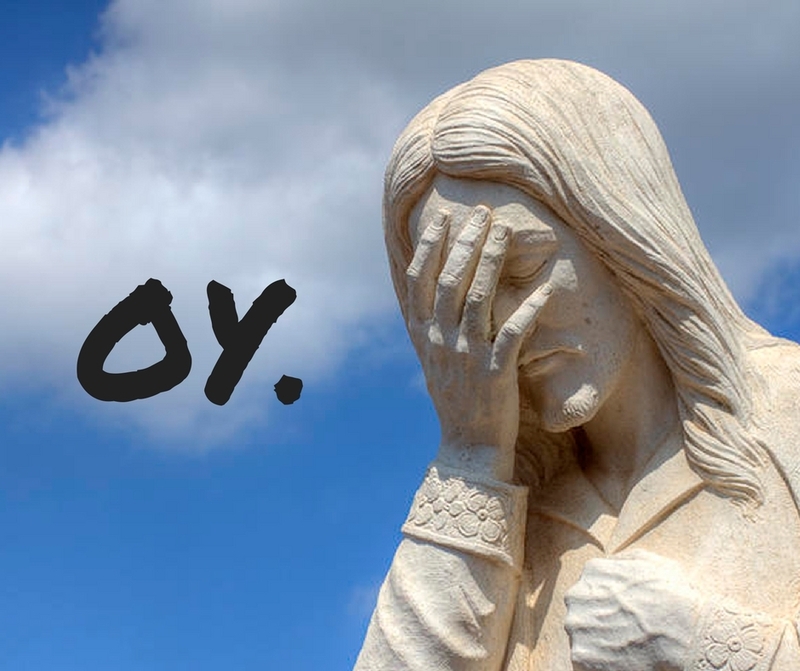 I was educated from a strong Jewish perspective, so I was aware that anything anybody said about Christianity was sure to cast it in a negative light. Therefore, I thought that maybe those who had taught me about this aspect of Christianity had been exaggerating it. But the more I learned about the fundamental principles of Christianity, the more I realized that this difference does exist; and that maybe the fact that I see it as a negative aspect attests to how deeply ingrained the opposite idea is in my belief system. The root of the disagreement is in how we interpret the results of what Christians call the Original Sin, the sin of Adam and Eve. A 15th-century depiction. For the record, Jews do not believe it was an apple tree. According to Jewish tradition, God did not reveal what type of tree it was so it would not be shunned on earth, and there are (of course…) a variety of opinions as to what type of tree it was. Some say grapevine; some say fig; some say a stalk of wheat; and some say citron (yes, that fruit we use during Succot). Both Christians and Jews agree that when Adam and Eve ate from the Tree of Knowledge, it fundamentally changed the nature of man, his purpose and goals, and the nature of the world in which he lived. We also both believe that the sin caused some kind of intermingling, or “tainting,” of humankind with evil. But what Christians believe this means is that man can never redeem himself from his inherent evil; that it is part of his essence, from which he can never escape on his own. The only way to redeem oneself from it, Christianity says, is “salvation through Christ.” That is, that God manifested Himself in His son–Jesus–who then suffered and died on the cross to atone for that original sin. All you have to do to redeem yourself from evil, then, is to accept Jesus. (Obviously, different streams of Christianity have different ideas about exactly how to do that and what it means, but that’s the basic idea.) That way, God will grant you salvation and grace. It took me years and a lot of reading to fully wrap my head around that concept, because it is just so foreign to me. So here’s what Jews believe about the sin of Adam and Eve. 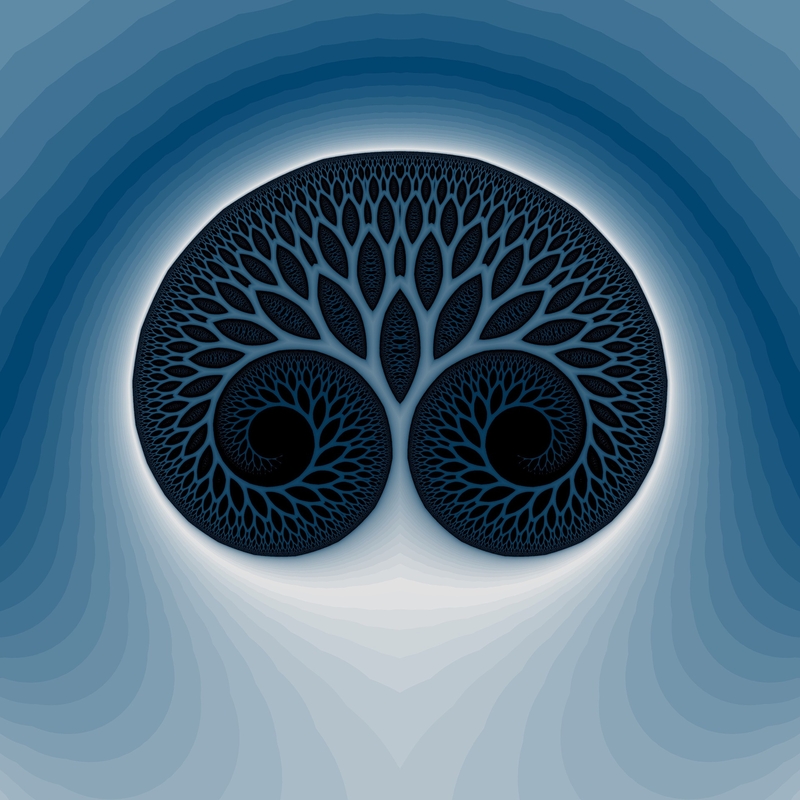 So the effect of the Tree of the Synthesis of Good and Evil was not simply to give man “knowledge,” but to cause an intertwining of good and evil within man. Before eating from the fruit of the Tree, evil did not exist within man. It was embodied in the snake, which was an external source of doubt and rebellion against God. In Judaism we have a concept of the “good inclination” and the “evil inclination”–yetzer tov and yetzer ra respectively. This is what we call these opposite forces that exist within us, the yetzer tov pulling us to strive for Godliness, and the yetzer ra pulling us towards our base desires. We believe that man lives with a constant conflict between these inclinations. The real essence of our soul, our higher self, is really the yetzer tov; that is how God originally created us. The yetzer ra was the result of Adam and Eve eating the fruit of the Tree. It was no longer externalized as the snake. 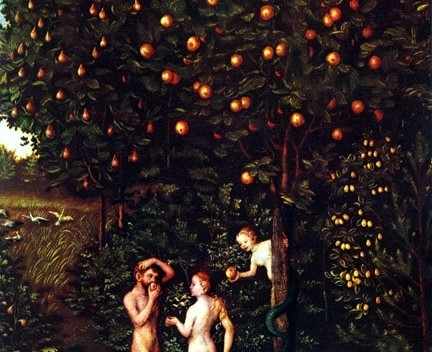 It became an integral part of the nature of Adam and Eve when they ate the fruit. Our goal, our purpose, in life and in the world, is to overcome the yetzer ra–first within ourselves, and then outside ourselves, in the world at large. We believe that man is capable of this–that indeed, this is the mission God endowed us as people and especially as Jews. We do not need God’s salvation to overcome the evil within us, Judaism says. It is a constant struggle, but we believe that our job is to do it ourselves. That said, God does help us out in a number of ways. The most important way, according to Judaism, was the giving of the Torah. The Torah is essentially a guidebook on overcoming the yetzer ra on a personal and societal level, and that is really the purpose of the mitzvot–to help us attain that goal. That is why the Torah is represented in the Garden of Eden, and later symbolically referred to, as the Tree of Life. The “fruits” of the Torah–the mitzvot–are the antidote to the fruits of the Tree of the Synthesis of Good and Evil. Jews and Christians agree that there were additional punishments God gave Adam and Eve because of their sin. He banished them from the Garden of Eden; he made them mortal; he cursed both Adam and Eve with the difficulty of labor–Adam, laboring for bread, and Eve, laboring for children. My interpretation of the significance of these punishments is that they were direct consequences of the synthesis of good and evil within man. God created the world in order to bestow His goodness upon it. But now, because good and evil were hopelessly intertwined, man would have to work hard to overcome the evil and attain the Godliness that he was created to receive. He could no longer sit in paradise and bask in God’s light. He needed to search for it and work for it, in a world where it was no longer obvious and tangible. While this sounds like quite a bummer, Rabbi Aryeh Kaplan points something out in his work, “A World of Love,” that reveals the unique power of a world in which good and evil can mingle. In the spiritual world, he says, proximity is determined by similarity. That is, if we wish to become close to God spiritually, we must become more like Him. The less we are like Him, the farther away from Him we are. By that understanding, in the spiritual world, nothing could possibly be farther away from good than evil. They are completely opposite and therefore can never engage with one another. But spiritual matter can be anchored to physical matter–such as a soul to a body. And in the physical world, things that are evil can exist in very close proximity to things that are good. In that sense, then, this world, in which good and evil intermingle, is the only place where good can overcome evil. Our world is sort of a battleground between these two opposite forces, and we, human beings, are the soldiers on either side; it is up to us to choose which side. This battle wages within our hearts, but as you can clearly see, it also wages fiercely outside us, between different groups of humans who are making different choices about how to relate to the good and evil within themselves. But for now, back to human nature according to Judaism and Christianity. The reason I was inspired to write about this was a little post on Brain Pickings about Dr. Viktor Frankl. Now, if you have never heard of this man or his iconic work, “Man’s Search for Meaning“… well then I don’t even know what to do with you because if anyone on earth should have read that book it’s you! Dr. Viktor Frankl was a Jewish Austrian psychiatrist who survived Auschwitz. Man’s Search for Meaning chronicles Dr. Frankl’s experiences in the concentration camp with a focus on his observations regarding the effect of the inmates’ attitudes on their survival, and goes on to describe the psychotherapeutic method he developed as a result of his observations, which he called “logotherapy.” His overarching idea is that more than anything else, man strives for a sense of purpose and meaning to his life, and that when he feels that his life has meaning, he can withstand even the most horrific conditions. And no one is more qualified than a survivor of Auschwitz to attest to that. 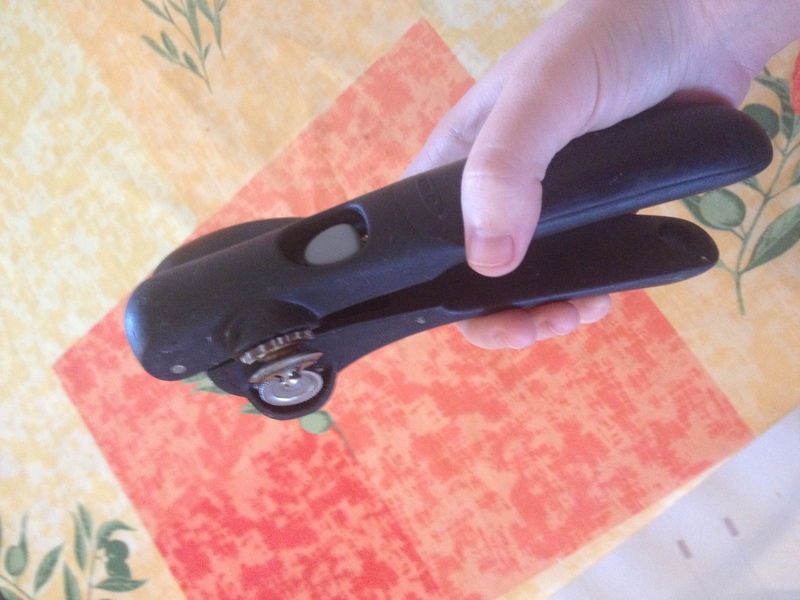 …Seriously. If you haven’t read it, get on that, pronto. It’s pretty short. No wonder the Nazis tried to get rid of him. What a quintessentially Jewish idea. Humans are not static; we are constantly evolving. You can’t give a precise measurement of a person’s goodness or potential, because these things are in constant flux. And when we believe in each other and in ourselves, believe that we are all capable of being better than we currently are, we create a supportive reality for ourselves to actually attain that potential. In essence, he is saying that the higher our expectations and hopes for ourselves, the higher we can reach. That is why I find the Christian concept of the Original Sin and the inherent sinfulness of man so discouraging. Because in a sense, Christianity is telling us that we cannot make ourselves more than we are; only God can do that. And I much prefer to believe that I have the ability to overcome my darker nature and become a better person. But I can see something comforting in the Christian idea, too. When you don’t have the capacity to redeem yourself of sin, you don’t have that responsibility, either. You can (and indeed, must) hand it over to the priest, or to Jesus, or to God. We Jews don’t have that option. We have to take full responsibility for ourselves and our natures. A rabbi can only council us, he can’t absolve us of sin. God will only cleanse us of sin if we are willing to change ourselves, as I explained in my letter on teshuva. We must constantly struggle, believing that we have the capacity to overcome. This (among many other things!) makes Judaism a much more challenging and demanding approach to life. 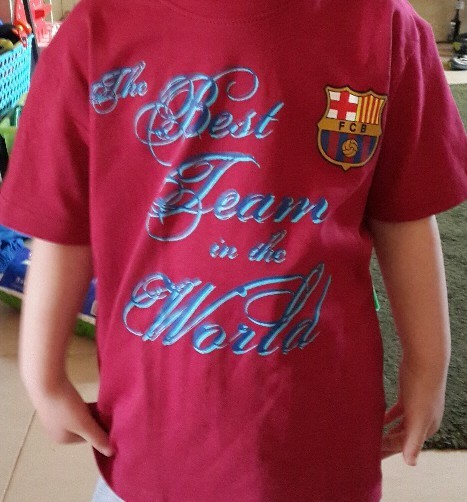 And obviously I am totally biased, but in my view–it’s well worth it. The reward of achieving something you have worked for is sweeter than any gift someone could give you. ETA: Josep wishes to register his indignation at the very suggestion made in this post that he may not have read Man’s Search for Meaning. 😉 It was assigned as required reading when he was in middle school, around the time they took him to see Schindler’s List, and he remembers it as an extremely emotionally harrowing read. But it just so happens that this year (2015), it coincides with a holiday that is celebrated in a distinct way in Catalonia. 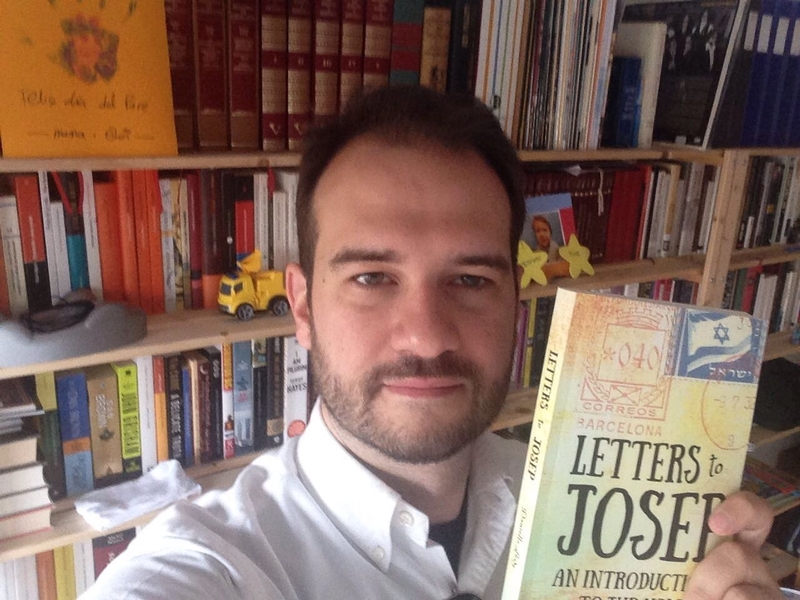 Since I already described Yom Ha’Atzma’ut to you, I’m going to give Josep a good laugh, and attempt to explain about La Diada de Sant Jordi, a.k.a., St. Jordi’s Day. So. What is St. Jordi’s Day? Well… it’s kind of the Catalan Valentine’s Day. Only with dragons. And Shakespeare. Let’s take it from the top: “Jordi” is the Catalan version of the name George. Ahhh, the Catholics say. Right. April 23rd is St. George’s Day. St. George is apparently a pretty popular saint, because aside from being the patron saint of England, he was also the patron saint of Aragon (and Catalonia. They were sort of the same thing at the time. Except not. Iberian history is terribly confusing). Peter I of Aragon declared him thus when he won an important battle under St. George’s patronage. I guess no one told him the Brits had dibs on ol’ George five hundred years prior. Well actually a lot of people/cities/countries apparently missed that memo, from Beirut to the Boy Scouts. Like I said. Popular. So why does the dude have so many fans? Not very clear. As a historical figure there isn’t very much known about him. The legend that is popular in Catalonia goes something like this: so there’s this dragon, right, and there’s this village, and for some reason they aren’t getting along. (Something about poisoning the air? Or getting in the way of a well? There are a few different versions…) So the villagers need to sacrifice sheep to appease said dragon, or maybe the dragon was stealing their livestock, or they have to distract him away from the well. Anyhow, when they run out of sheep they start using young maidens. (A fairly natural progression, apparently. Personally I might have tried chocolate cake first, but no one asked me.) So one day the maiden chosen is the princess, and she sets off to meet her fate, but in the nick of time–cue victorious music–along comes St. Jordi on his white horse and slays the dragon with his sword! Or was it a lance? Yeah, that looks like a lance. In any event, the dragon’s blood flows to the earth and from it, a single red rose blossoms. St. Jordi picks the rose and gives it to the princess. The princess and the town are thus converted to Christianity and everyone lives happily ever after! Anyway, somehow the entire point of the story being about the princess and the town converting got glossed over, and the giving of the rose was sort of reinterpreted as a romantic gesture (though, one might note, St. Jordi didn’t actually marry her or anything). 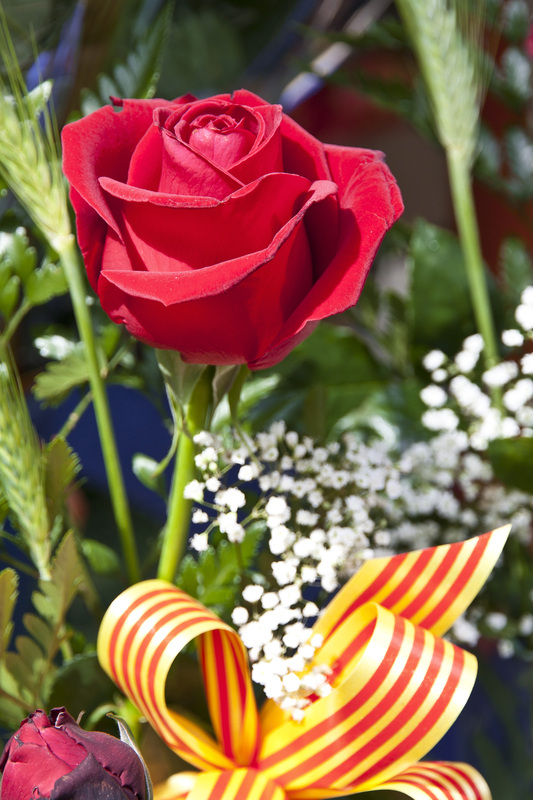 Thus, St. Jordi’s Day turned into “the day of lovers”, wherein men give roses–usually decorated with a sprig of wheat and/or the yellow and red stripes of the senyera, the Catalan flag–to their ladies. By Jordi Payà Canals (CC BY SA 2.0). See, I told you they were all named Jordi. April 23rd also happens to be the deathdate of two very important and famous writers: William Shakespeare and Miguel de Cervantes. 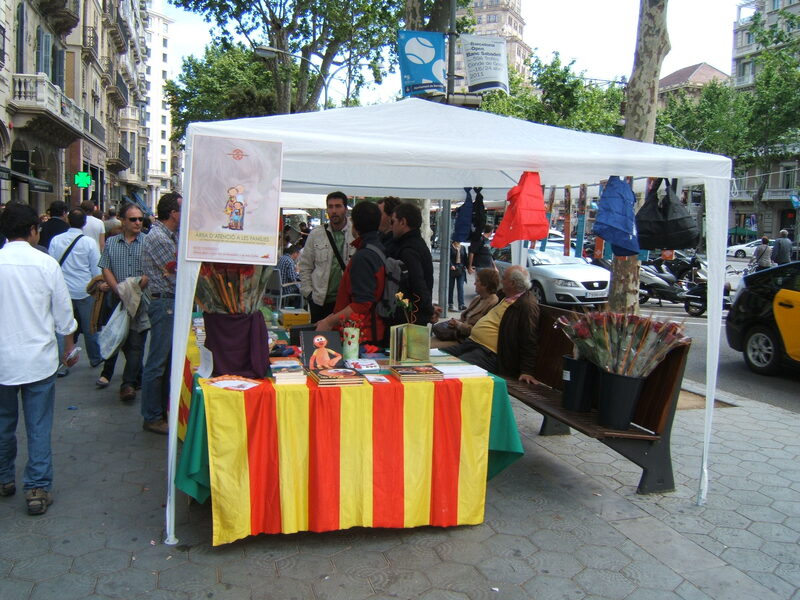 The first to make the connection between April 23rd and books were apparently Catalan vendors in the 1920’s, in honor of Cervantes, and because hey, all the ladies are getting roses because of St. Jordi and the dead dragon, don’t we gentlemen deserve a gift too? I like what you did there, Catalans. UNESCO apparently thought this was a pretty awesome idea too and decided to make April 23rd World Book Day in the 1990’s. And that is how St. Jordi’s Day became Catalonia’s “love” holiday, which is celebrated by the exchange of roses and books among lovers and friends. And also by hanging Catalan flags everywhere and selling and eating food decorated with its red and yellow stripes. Because, any excuse. See, here you’ve got your roses, your books, and your senyera. Yom Atzma’ut Sameach, Feliç Diada de Sant Jordi, and Happy World Book Day! …Just don’t start barbecuing books, or exchanging Israeli flags with your lover, or mixing up your blue-and-white/red-and-yellow icing on your cookies, or… yeah. Yeah, um, no, guys. 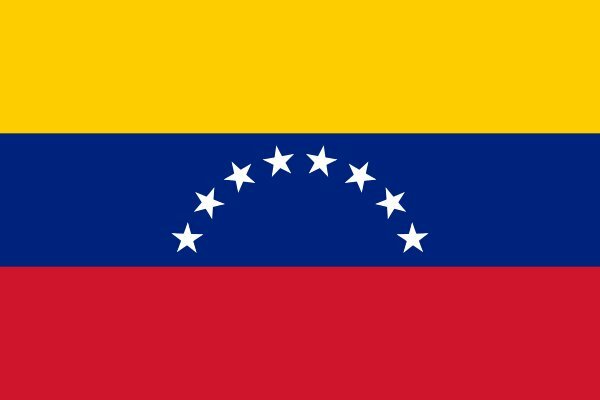 That would be the Venezuelan flag.